In October 2015 a number of MHRA GCP Inspectors attended the GCP Inspectors Working Group Workshop hosted by the European Medicines Agency (EMA) in London. This is an annual training event originally held for EU Good Clinical Practice (GCP) Inspectors that has recently been expanded to include inspectors from across the World to provide technical training and knowledge sharing across the various Inspectorates. It also provides a forum for open communication and development of working relationships between Inspectors and the various Inspectorates which in turn promotes harmonisation and additional ways of working together. This interaction doesn’t stop in the meeting room with there being plenty of discussion and ‘catching up’ conducted in the coffee breaks and over lunch! 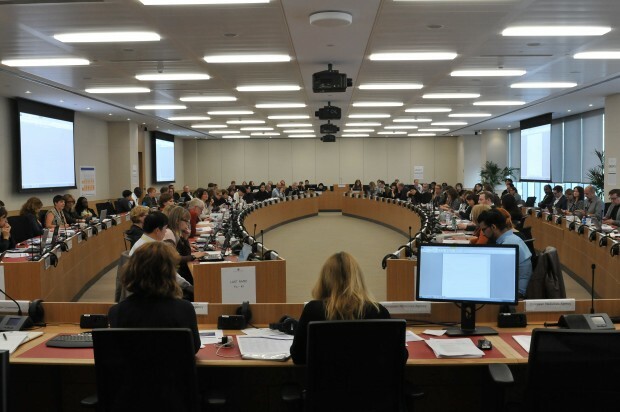 Previously these training events have been hosted in various European cities, for example in 214 we all met in Paris. In 2015 the event was held at the new EMA headquarters in Canary Wharf, London. This workshop was attended by over 100 Inspectors, including nine Inspectors from the MHRA. The Inspectors represented over 45 regulatory agencies including a number of non-EU countries. The focus of the October 2015 training workshop was Electronic Data Integrity, a current hot topic across all of the GxPs, which has previously been the subject of a series of our blogs. Two days of technical training on Data Integrity was provided to the group covering a variety of topics including: GCP regulatory requirements and expectations, principles on inspecting for data integrity, and computerised system validation processes, including cloud computing. The training started by establishing that data integrity issues can be identified within the GCP arena and that the topic is not just confined to Good Manufacturing Practice (GMP) and Good Laboratory Practice (GLP). The widespread use of electronic systems being utilised to capture source data and manage clinical trials provides plenty of opportunities for issues to arise especially as these systems are relatively new within the clinical trial world. There was a lot of thought and interesting discussion over the need for strong management, governance and quality cultures within organisations, and how they are essential in ensuring that the principles associated with ensuring data integrity are appropriately embedded within the organisation. We discussed how the Quality culture at the most senior level creates the internal environment which facilitates the identification of factors associated with risk to the integrity of the data. For example, do Senior Managers and Directors attend GCP training, read Standard Operating Procedures (SOPs) and support internal SOP compliance on a day to day basis? Do they have an awareness of how data is generated and the work conducted? Quality Assurance (QA) departments alone cannot enforce compliance across an organisation, Managers and Directors should lead by example. If quality and the associated quality systems are not well understood and respected at a senior level within an organisation then you are likely to see common and persistent compliance issues. Current guidance on good documentation practices for electronic data was discussed in detail as the inspectors feel it is essential that available guidance appropriately reflects changes in technology and approaches seen on inspection (as well as regulatory expectation), and that this guidance assists organisations in further developing their internal standards and procedures. The ICH E6 Addenda (currently undergoing consultation) is one example in this respect. Clinical trial environments are evolving, moving away from paper based systems, therefore those involved in clinical trials (including the Agencies that inspect them) must adapt too. As you would expect we covered a lot of detail on how to conduct data integrity focussed inspections, what to look for and importantly where to focus our efforts. Although the principles of GCP remain the same, the evidence of compliance may be found in unfamiliar territory. The integrity of the data provided is assessed at every inspection but the scope and depth of review is likely to vary depending on a variety of factors such as the criticality of that data, the decisions it supports, the impact to the patient and its future use. To that end inspectors require the access to, not only, the source data but the associated metadata and other supporting information such as audit trails, user permission sets and information associated with the capture, processing, transfer and storage of data. An effective and efficient route to enabling this type of review is for the organisation to be able to provide appropriate direct access to the electronic systems used for the handling of the data. This is likely to require discussions between the Lead Inspector and the organisation during the inspection planning stages to facilitate this, and understand the needs of both the Inspector but also the company. An important message from this training was that electronic data is dynamic and it can often tell us much more than a paper audit trail ever could, and in a much faster way. Interrogation of the data and its associated metadata will become much more commonplace on inspection, however it is important to remember that the GCP principles we inspect against remain the same whether we are looking at paper or electronic source data. This is also critical when organisations are designing new electronic/computerised systems; we have found on inspection that user requirement specifications often do not consider ALCOA plus CCEA (attributable, legible, contemporaneous, original, accurate plus complete, consistent, enduring, and available) principles or include appropriate access for inspectors and auditors to enable the review of the data. The final day of our workshop involved group work and discussions on recording and classifying inspection findings followed by a frank presentation by Ghana FDA on the Ebola Vaccine Trial Applications and Research in Emergency Situations. This provided an informative and interesting insight into how the crisis was managed, how Ghana FDA set-out to facilitate expedited approval for conducting the clinical trials and to ensure ethical practice of the trials, the hurdles encountered and the lessons learnt. This topic was applicable to all of us as it provided valuable ‘food for thought’ for when we are called to assist in rapidly developing situations, where a clear and pragmatic approach is required in order to facilitate the rapid introduction of new therapies whilst ensuring that we continue to protect public health and ensure that the data generated is as robust as possible. We also heard about the importance of media interaction and ensuring the media have clear, consistent and accurate communication. The workshop concluded with an EMA update on the new EU Clinical Trial Regulation including the updated expected date of application at the end of 2017. The workshop was well attended and continued to provide an important platform for shared learning and discussion between international medicines agencies on current hot topics and the new clinical trial regulations. We look forward to the next one later this year to learn a little more and to catch up with our international colleagues again.